The lighting was better (finally) this afternoon. Here's another shot of a titmouse at ISO 400, which really made a difference with the quality of the image. Everything up until this one had been shot at 800-3200 (6D and 7D). This was shot with my 7D. Approximately 50% crop. Wow, excellent shot! How much/if any sharpening did you apply? In any case though, it looks really good. Thanks! This particular shot was pretty sharp off the camera. I think I sharpened in Photoshop (Smart Sharpen) just slightly. That seems to be the consensus here: if you already have something decent for an economical 400mm+, such as a 400/5.6+1.4x, 100-400+1.4x, 120-300+1.4x, 50-500, etc, it's probably not worth replacing your existing lens with this one, but for someone like me who doesn't have anything at all in that range except a cheap f/8 reflector lens or a 6" telescope, then the Tamron is probably the leading candidate. I think it really depends since I have the 400 f/5.6 and a 1.4x TC and I bought the 150-600. I've wanted more reach for a while and I can't really justify spending the money on a a big white. I think tomorrow I'll actually be able to get out and use the lens so I'll have a better idea of how it works for me but I'm hopeful I'm going to replace the 400+tc setup. That has to be one of the sharpest shots I have seen with this lens...would really appreciate if you would be happy to show the 'unsharpened' version so we can see how sharp the lens is by itself. Also, I cannot see your exif data in flickr (and do not have a plug in/exif viewer), could you please advise what focal length and shutter speed were used. Is 5D classic too weak for this lens? Beautiful shot. Love the detail. 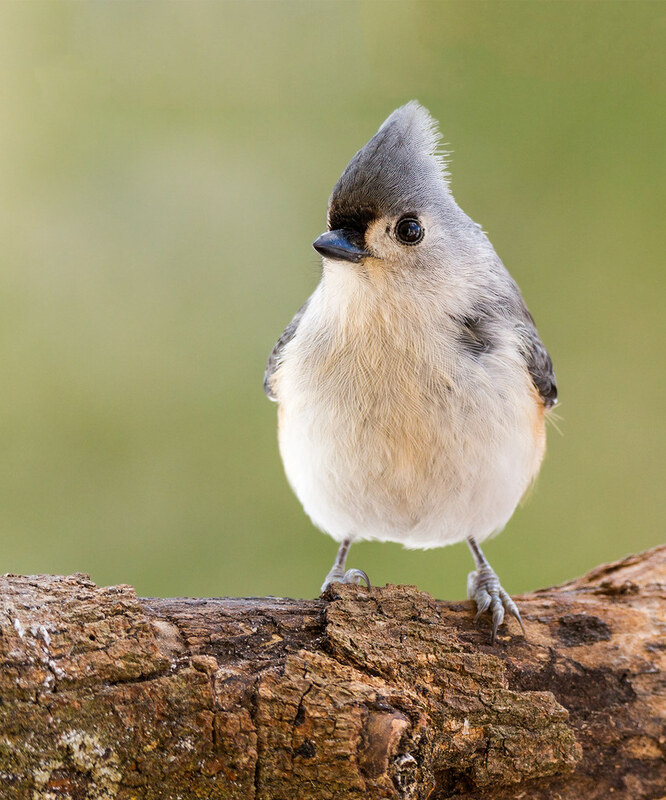 Yeah, I don't know what there is to complain about with those titmouse shots... very nice. The lens is obvious capable.... of course everything else has to be too. I'm so happy that Tamron wasn't greedy with their pricing on this lens. The quality of the shots here is unbelievable for an $1100 600mm zoom with modern IS and USM and good coatings to take care of any color fringing. I feel like this lens was made for me, thank you Tamron and thanks to all you early adopters for proving how good it can be. Shutter Speed was 1/400. Focal length was around 350mm if I remember correctly (RAW image is on a different computer). I was tracking this bird in a different location (further away) when he suddenly flew up on this branch. I had to shorten the focus ring, move the camera, and my AF point was set for a completely different composition. And of course this had to be done quickly -- they don't exactly stay still while you re-compose!. I managed to get the AF point over the eye, but the bird very nearly was cut off in the top of the frame. I had to do some "canvas extension" in post to save the shot, which I wanted to do because it's one of the sharper ones I managed to get. I'm happy to share the original image. What's the best way to do this? I'm new to Flickr -- is there a means to share the RAW photos there?